Kikay Corner > shopping > Who’s Afraid of SM Aura Premier? Who’s Afraid of SM Aura Premier? adminMay 17, 2013shoppinga convention center, a premier trade hall, al fresco dining and leisurely walks, an office tower, Bonifacio Global City, lunch break retreats, mall, SkyPark, sm aura location, SM Aura Premier, SM Aura Premier amazing structure, SM Aura Premier is located along C5 Road cor M.H. Del Pilar Drive, sm aura premier location, sm group, sm store, Taguig, The SM Group is also stepping up its game for recreation, Who’s Afraid of SM Aura Premier? SM Aura Premier, located at the edge of Bonifacio Global City, is finally opening its doors to the public today, May 17, 2013. The curved superstructure built by the Miami-based Arquitectonica and the Philippines’ own WV Coscolluela & Associates, marks a first for the SM Group which, for this project, has taken an out-of-the-box approach – creating an innovative recreational and leisure space complementary to BGC’s fast-changing landscape. 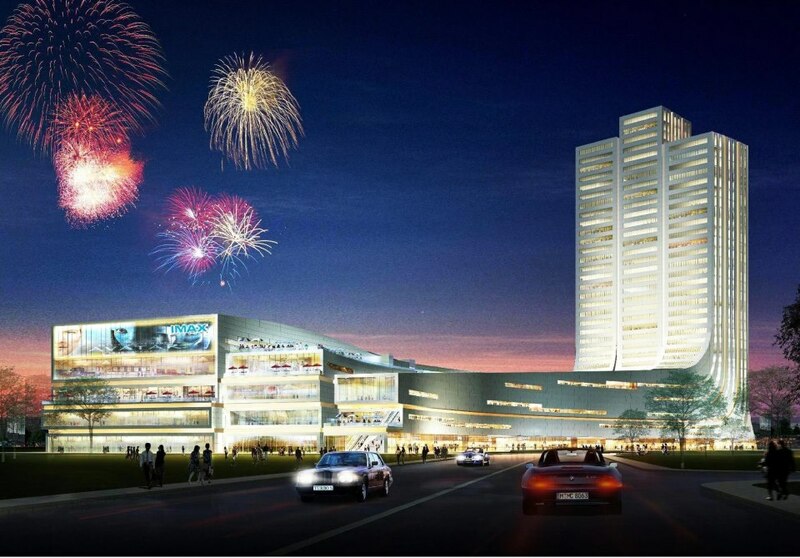 With a mall, an office tower, a convention center, a premier trade hall, and other features that make up a civic center for the city of Taguig, plus a trade and investment forum, Aura fosters lively activity with its wide-ranging facilities designed for the convenience of its patrons. SM Aura, a breathtaking combination of indoor and outdoor activity, keeps a strong focus on design and sustainability, offering a complete experience to upscale residential and office tenants. It is confident about getting a Gold LEED certification from the US Green Building Council – the first commercial center in the country to do so. At the top of Aura is SkyPark, an expansive and lush green space for lunch break retreats, al fresco dining and leisurely walks. Aura’s seven floors of retail space include apparel brands such as Uniqlo, Forever 21, as well as retail and dining space. Setting up shop for the first time in the Philippines are Stefanel, Paul Boulangerie, the Food Hall by Todd English, and Asia’s first NBA Café. Anchors SM Department Store and SM Supermarket have also leveled up their design and merchandise offerings for the thrilling new space. The SM Group is also stepping up its game for recreation. Not only does Aura carry four new digital cinemas and an IMAX Theater, its strong focus on becoming a great place for friends and family has also paved the way for a modern chapel named after Filipino saint Pedro Calungsod as well as the Samsung Hall, a dome designed for events, exhibits and performances. From morning coffee to happy hour, from every day to holidays, Aura promises to be a center of convenience with a total pleasure experience that is both light and fulfilling. Getting there, however, is particularly difficult. At the edge of the BGC lays a long unpaved portion of McKinley Parkway, incidentally right on Aura’s doorstep. A barricade wards off pedestrians on their way to Aura. It’s a pity since Aura is an exciting space suited to the lifestyle of those who reside and frequent BGC. Otherwise, getting there should be easy. SM Aura Premier is located along C5 Road cor M.H. Del Pilar Drive, Bonifacio Global City, Taguig. But why isn’t it? Who’s afraid of Aura?